Each of the members of the Traveling Wilburys had a nickname. Roy Orbison was Lefty Wilbury. Follow the link below to find out what your Wilbury name would be! 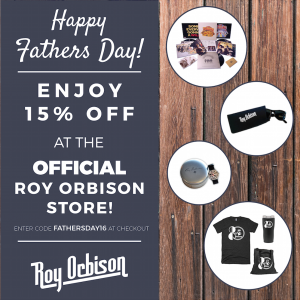 Enjoy 15% with the code: FATHERSDAY16! Elvis Costello has been inducted into the Songwriters Hall of Fame!